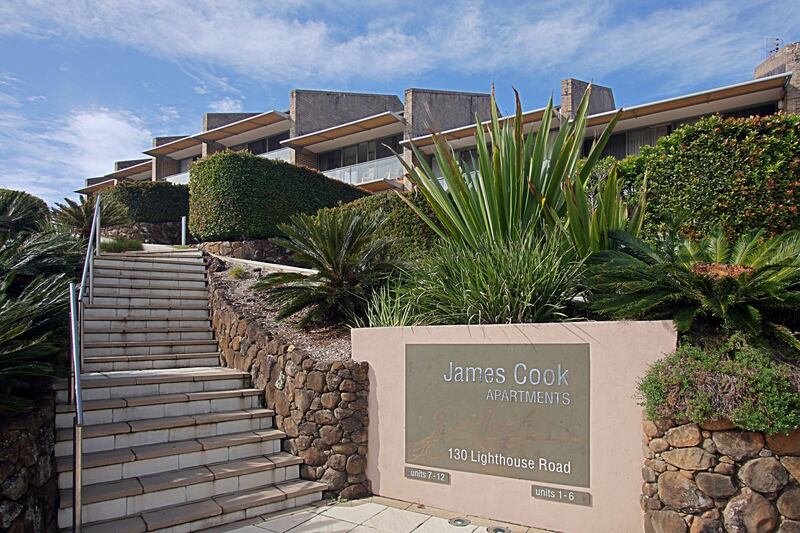 #11 James Cook is the perfect place to call home on your next Byron Bay holiday. 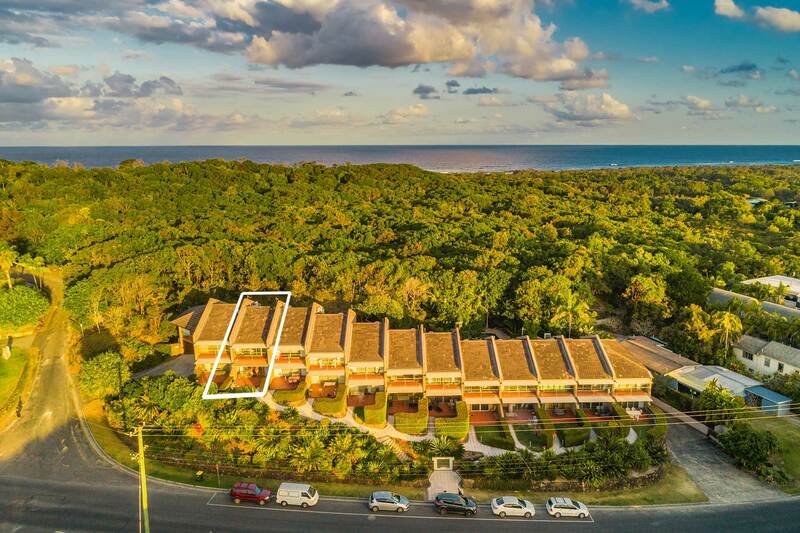 This gorgeous, renovated and restyled rental boasts ocean and hinterland views, with plenty of outdoor space and a saltwater pool. There’s room for the whole family, with three bedrooms and two bathrooms, and a fully equipped, brand new kitchen. 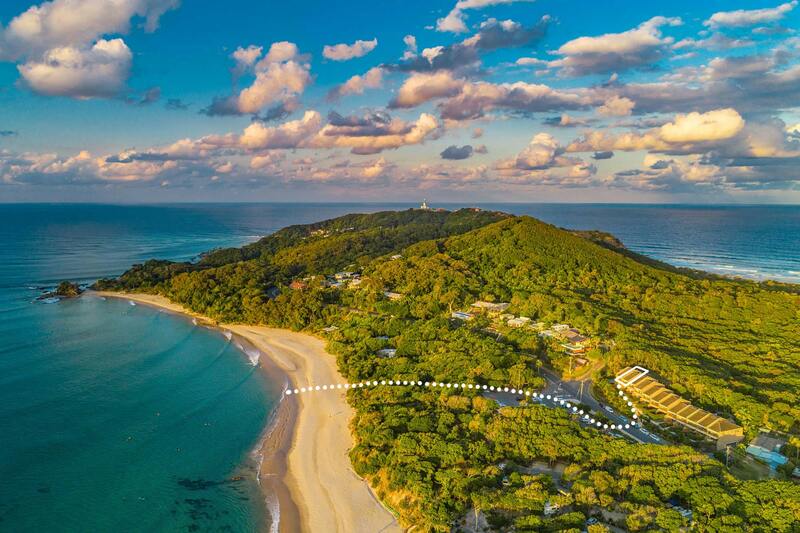 Explore the Cape Byron Walking Track at your doorstep, Clarkes Beach and The Pass just a few steps away, and all of Byron’s Best cafes, restaurants and boutiques just a 10-minute stroll down the road. 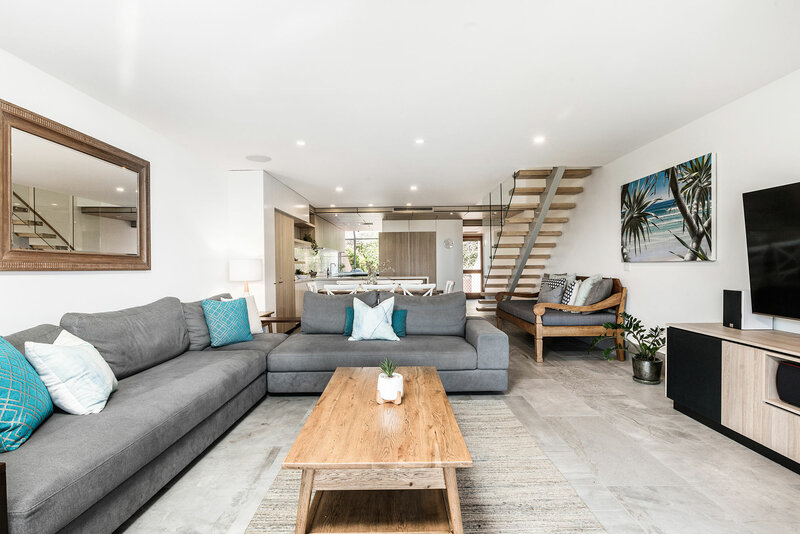 At #11 James Cook, the open-concept living room is a relaxing space to unwind and entertain together as a family. Sink into one of the comfy day beds or loungers and enjoy the incredible ocean views through sliding glass doors. Leave them wide open to enjoy the fresh sea breeze! In the evening, gather the group to watch a movie together on the 65-inch Smart TV, complete with DVD player and Foxtel. Preparing meals together as a family is a breeze in this smartly-appointed, brand new kitchen. 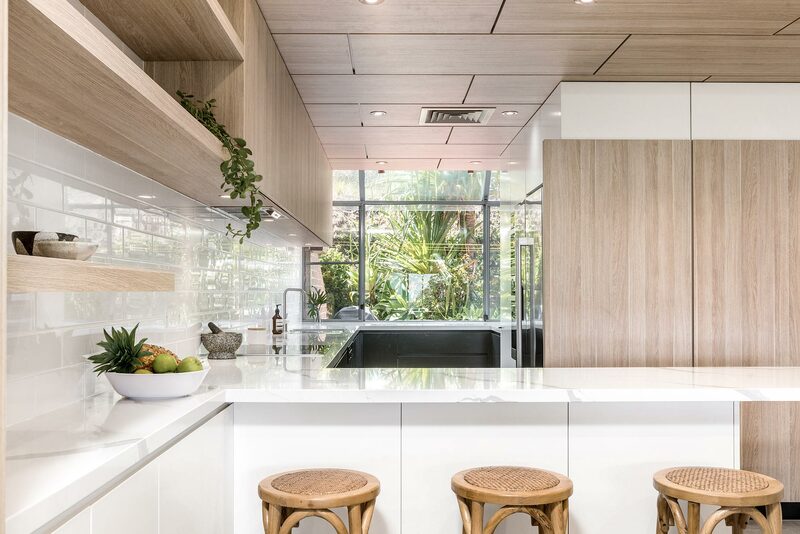 Sleek and stylish with contemporary finishes, the kitchen offers stainless steel appliances, impeccable countertops, and loads of storage, all with a garden-facing view from its large, greenhouse-style picture window. 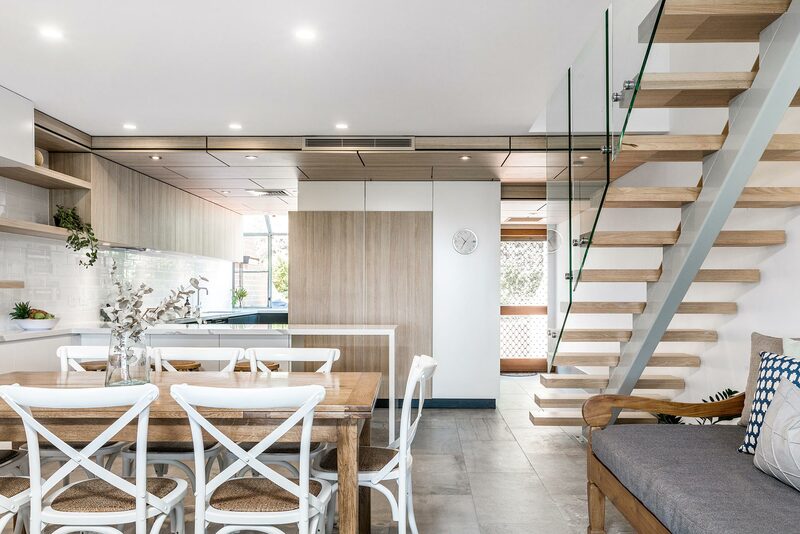 The kids can pull up a stool at the sleek breakfast bar to help with meal prep or the grownups can settle there for a comfortable morning brew. 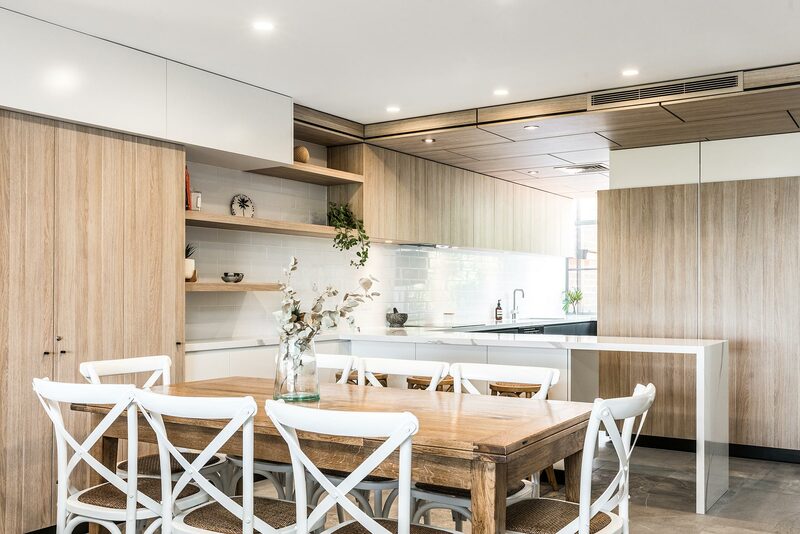 The kitchen flows into the living space via a dedicated dining area with a large, farmhouse-style dining table for 8. Upstairs are three bright bedrooms, including a master with its own bathroom and a second shared bathroom in the hallway. 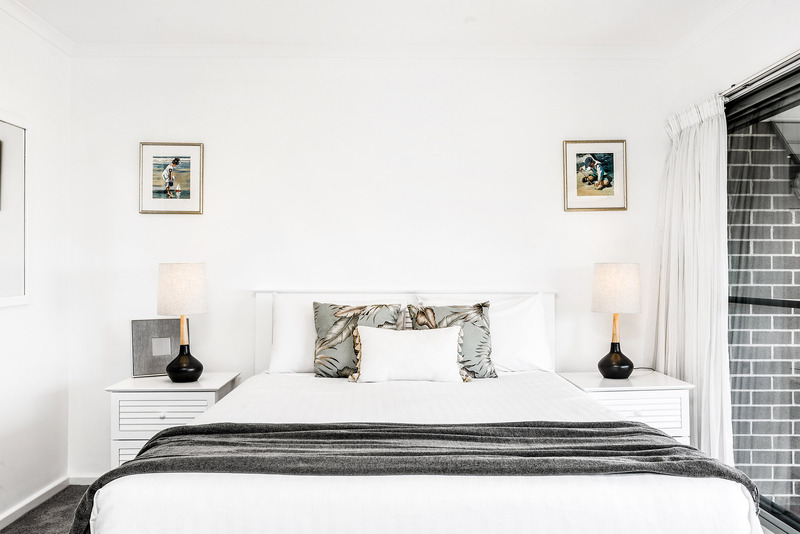 The queen-sized master bedroom offers a truly serene experience and the best views in the whole house. 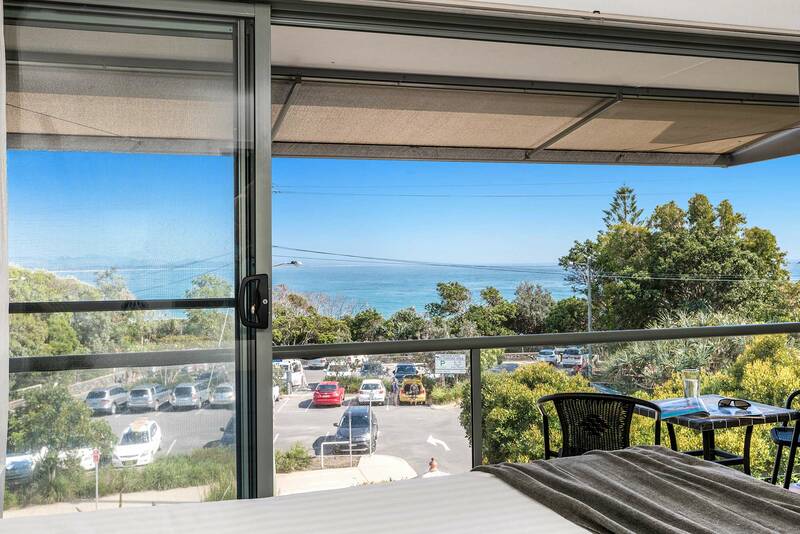 From this room’s deck, you’ll discover sweeping views of Byron Bay from the ocean at The Pass all the way to town. This tranquil space is perfect for enjoying an intimate cocktail at sunset. 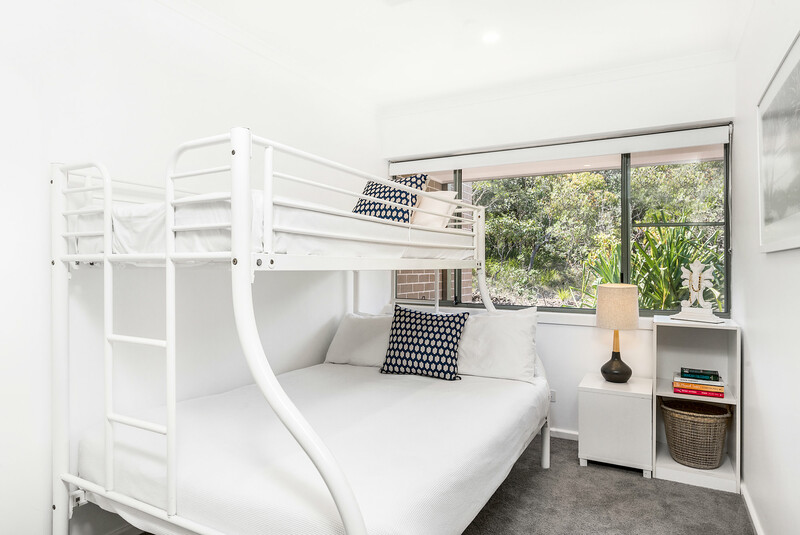 In the second bedroom is another queen bed while the third bedroom offers a kid-friendly bunk bed with a double on the bottom and a single on the top. Each bedroom has reverse-cycle air conditioning to ensure a cool and comfortable night’s sleep. 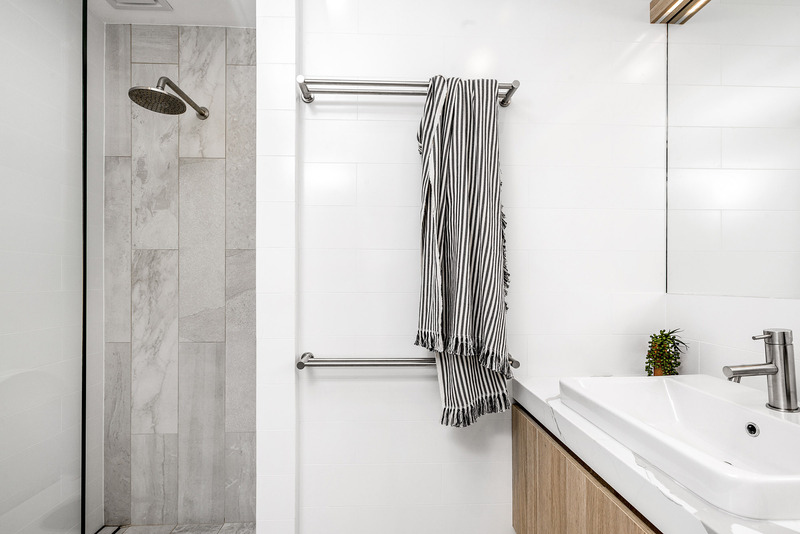 Both of the bathrooms at #11 James Cook Apartment are sleek and modern in design, with crisp white countertops and high-end finishes. Similarly restyled, there is an ensuite bathroom off the master bedroom and a second shared bathroom in the hallway. Both bathrooms feature modern, glass-enclosed rain showers lined in clean slate tilework. Boasting some of the finest views of any apartment in this complex, #11 has two lovely patio spaces for you to enjoy. 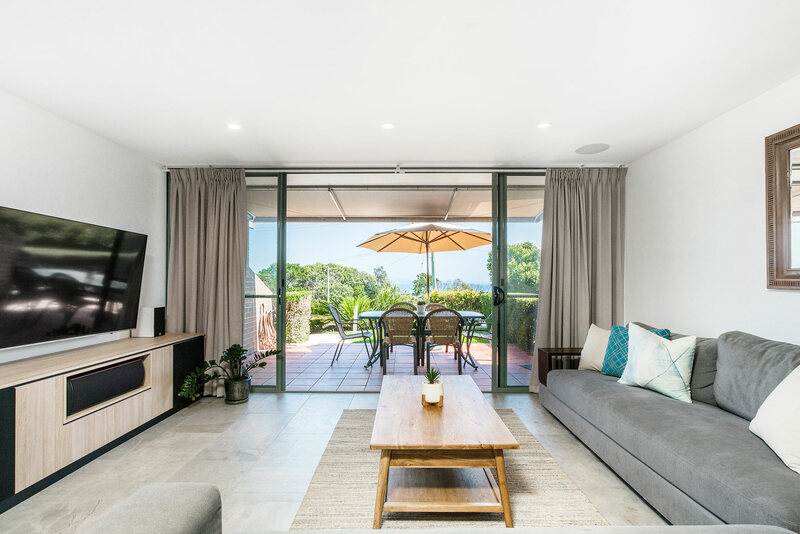 The front patio faces north, granting guests stunning sea views of Byron Bay, easily enjoyed from a shaded patio table for 6. 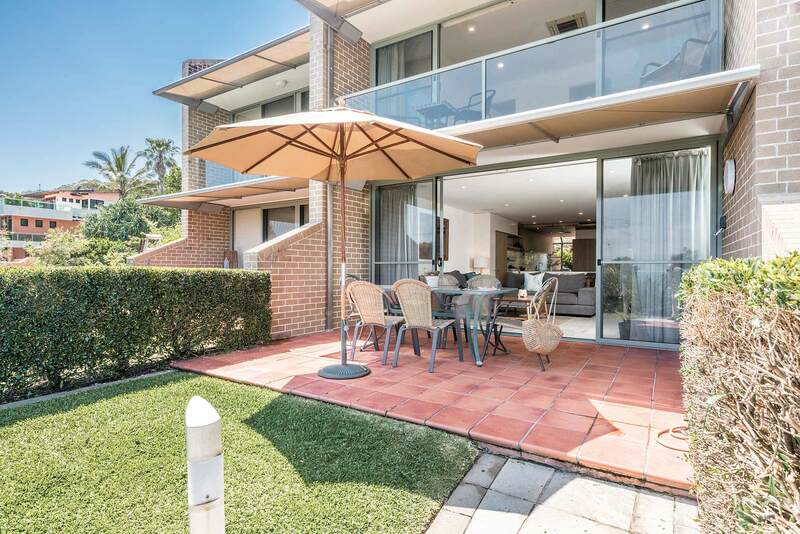 In the back is another patio space with a great gas-powered barbecue for those wanting to cook up a storm after spending a fantastic day at the beach. 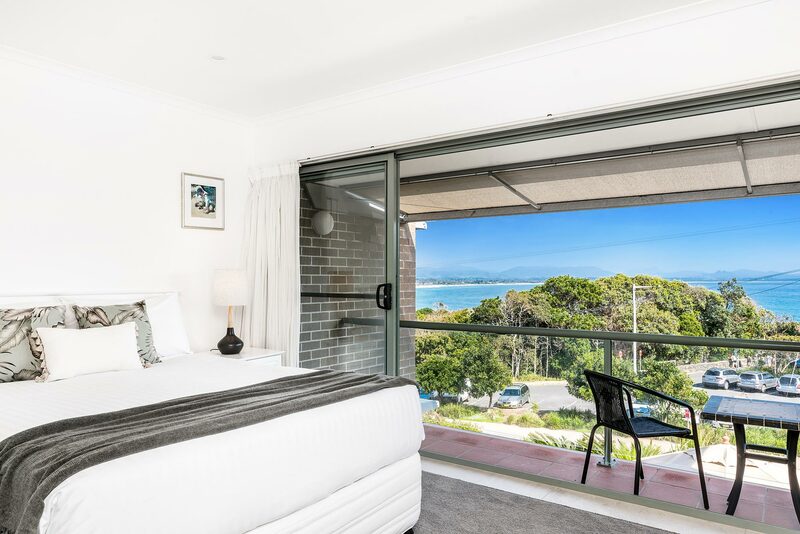 Upstairs, the master bedroom has the final jewel in the crown: a beautiful, private balcony boasting unrivalled ocean views. 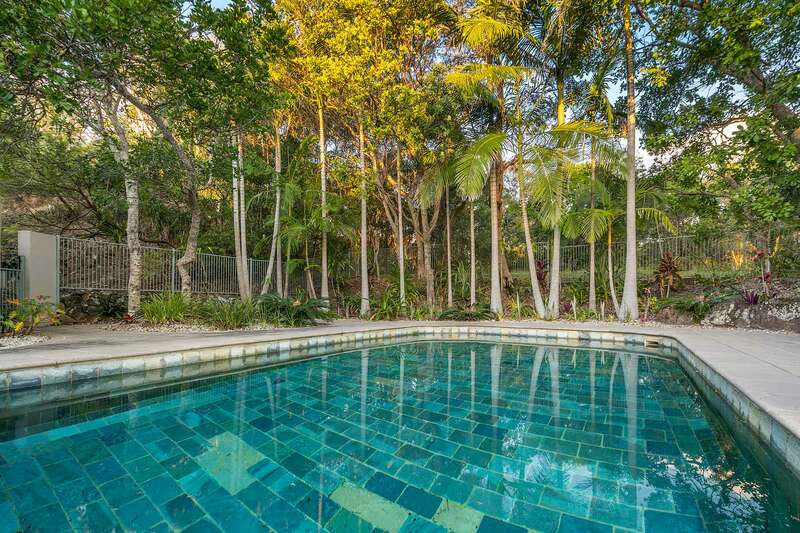 The James Cook apartment complex has a large, saltwater swimming pool for guests to enjoy. With just 12 units at the complex, the swimming pool has a private, resort-like feel and is an excellent place to unwind with the kids. There is a covered parking space available onsite for 1 car. 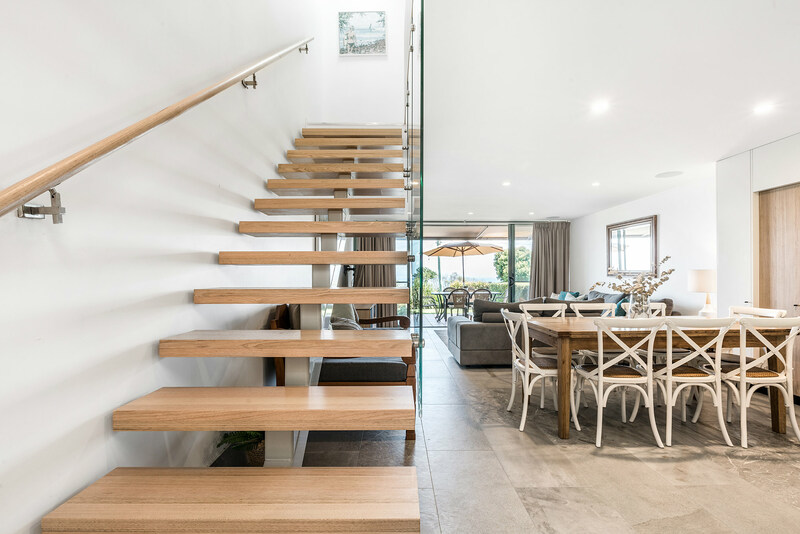 At your doorstep is the scenic “Lighthouse Loop” walking trail along Cape Byron and the safe, surf-friendly Clarkes Beach. 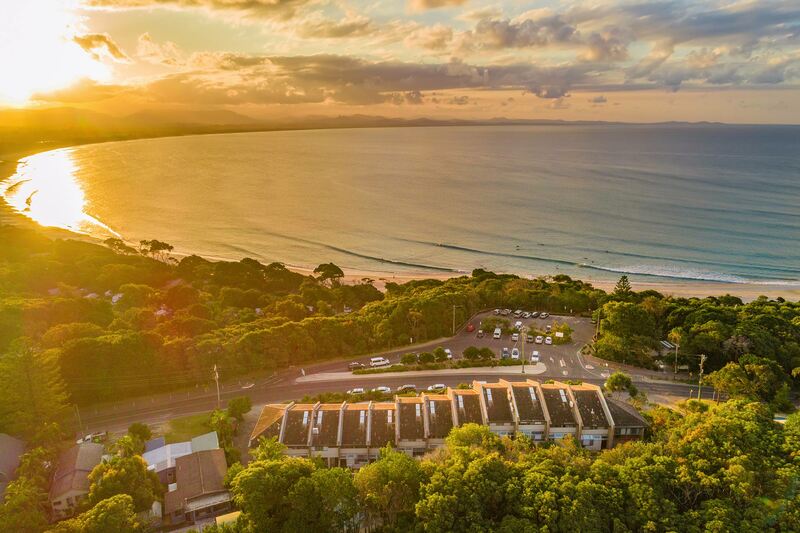 The coastal town of Byron Bay is also known for its exceptional dining options like The Pass Cafe, Combi Byron Bay, and Cape Byron Lighthouse Cafe -- all located within a short stroll from #11 James Cook. Also within a 15-minute walk is the centre of town, where you’ll discover even more incredible dining options, as well as notable boutiques like Spell and Sea Bones. Group restrictions - maximum of 7 guests at the property. 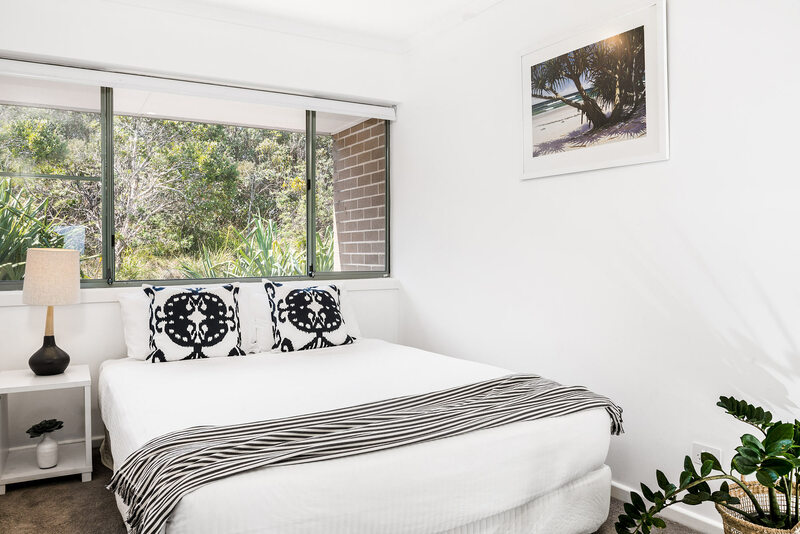 We have been holidaying in this apartment for many years and love everything about our time in Byron. We loved the updates to the apartment but would love a frying pan and some nice white platters and salad bowls please! Otherwise everything is perfect! Everything was better than the pictures, we absolutely loved it and hope to return again sometime. 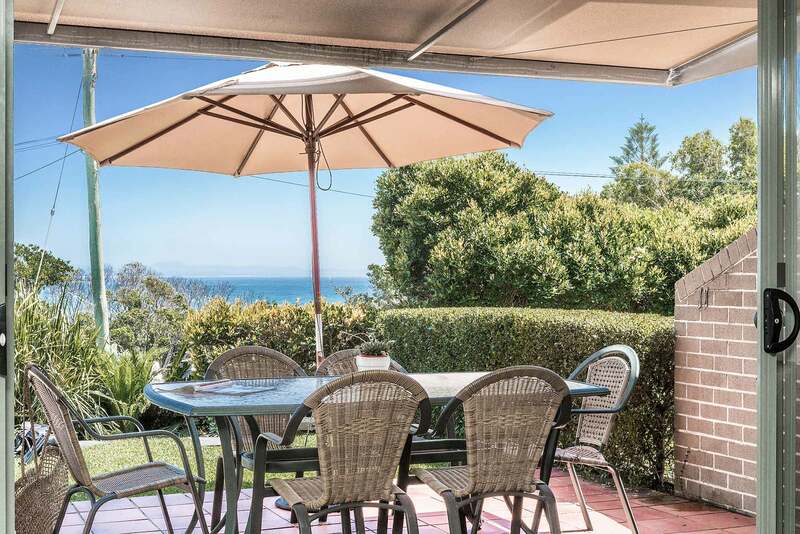 Great position, beautiful views, well stocked kitchen (in terms of utensils), well set out apartment and oh so close to the beach. This was particularly good since we have young children. Also, it was away from the bustle of town, at the start of the light house walk and had beautiful native birds which could be seen from the kitchen. Good weather and surf. Unit very handy to beach & walking distance to town.Didn't realised unit was serviced during the stay but this was a very pleasant surprise.